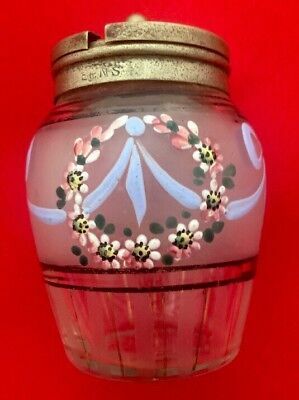 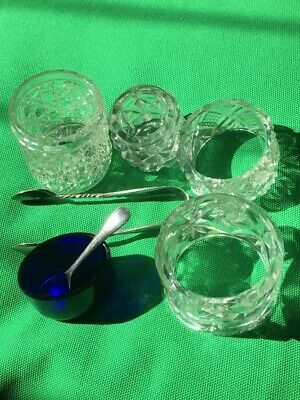 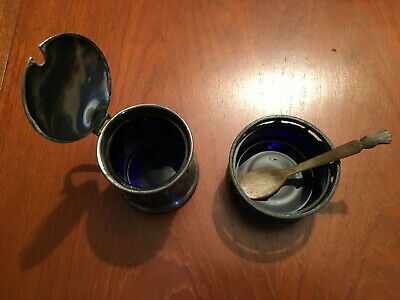 Pair Of EPNS Oval Blue Glass Lined Mustard Pots With Spoons. 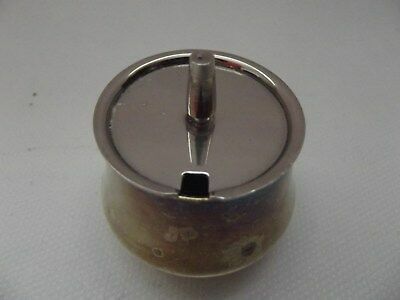 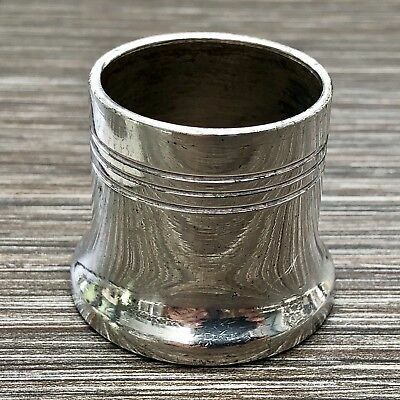 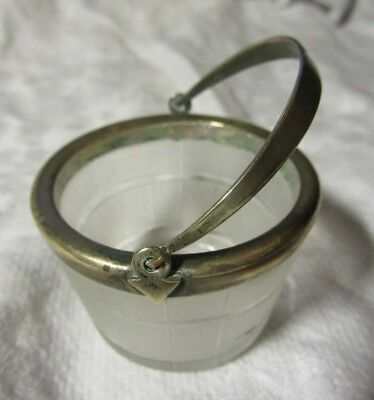 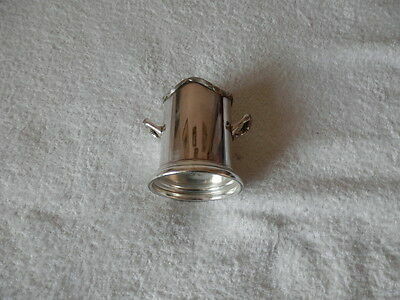 Silver Plated Mustard Pot with Fleur de Lis Thumb Piece. 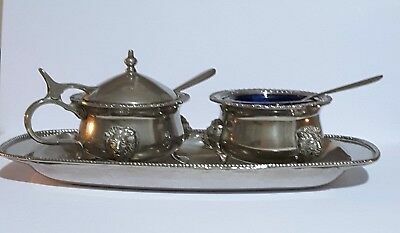 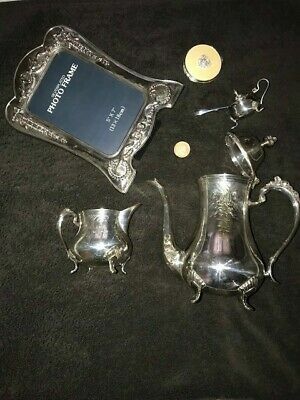 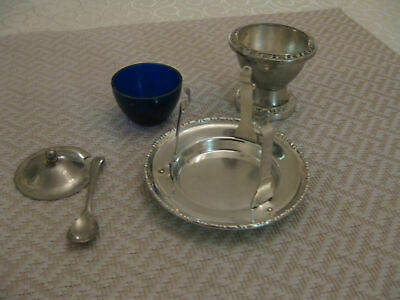 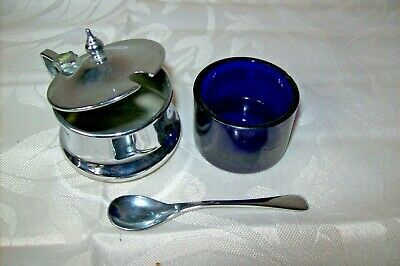 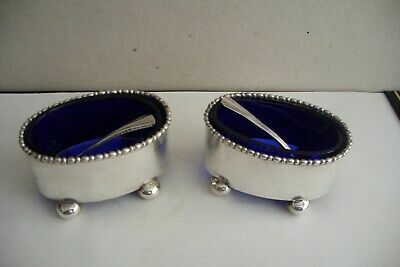 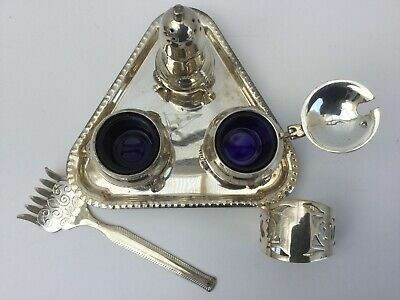 Vintage Silver Plate Blue Glass Sauce and Mustard Set with Spoons and Tray. 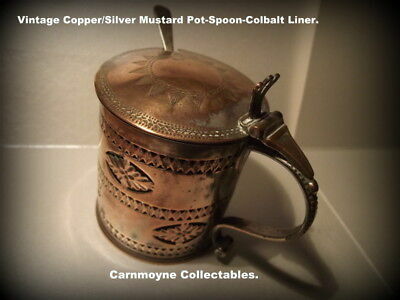 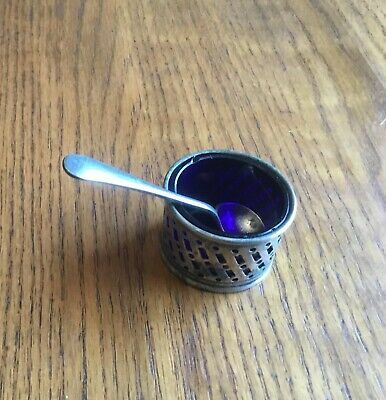 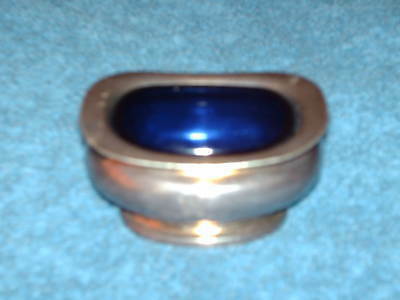 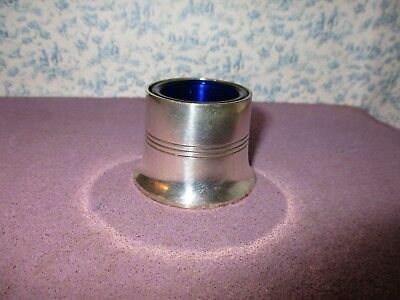 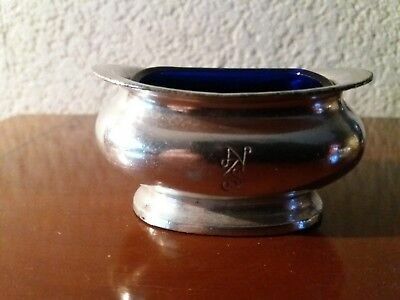 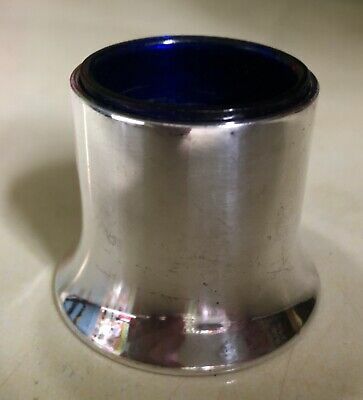 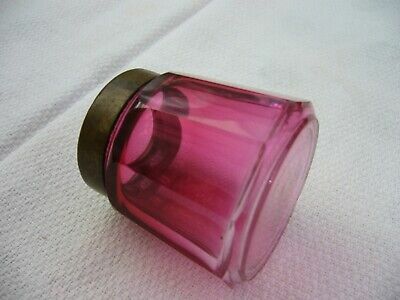 Vintage Copper/Silver Mustard Pot-Spoon-Cobalt Liner.AH7078. 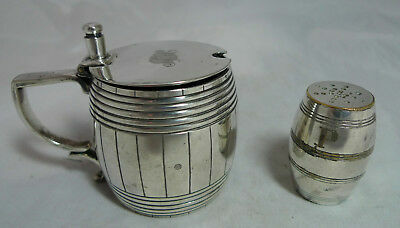 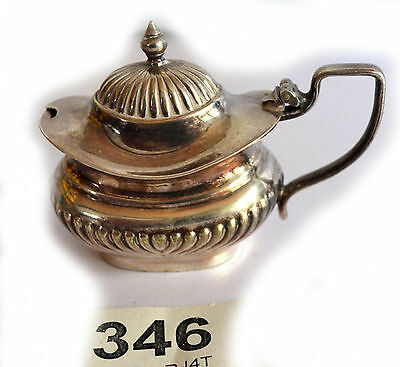 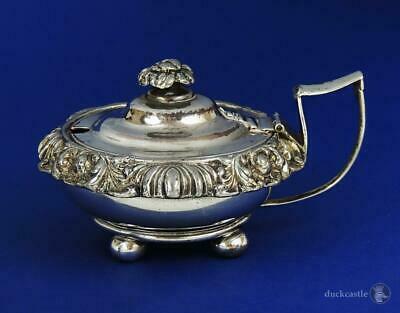 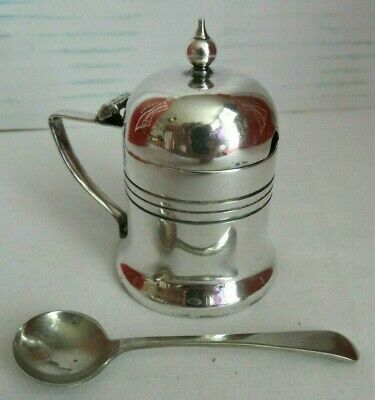 J.D & S Electro Plated M3875 Twin Handled Pot Height 3"
Antique Silver Plate Mustard Salt Pot By Elkington & Co 1866? 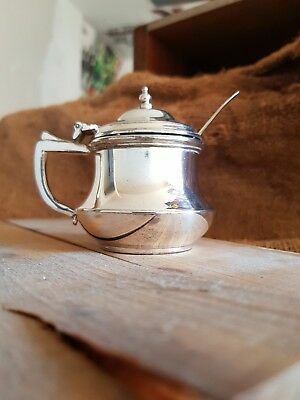 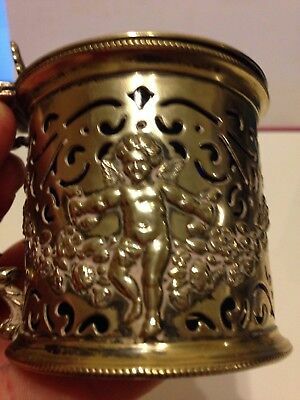 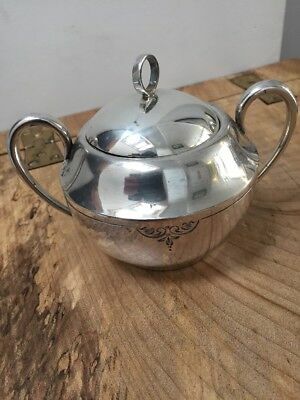 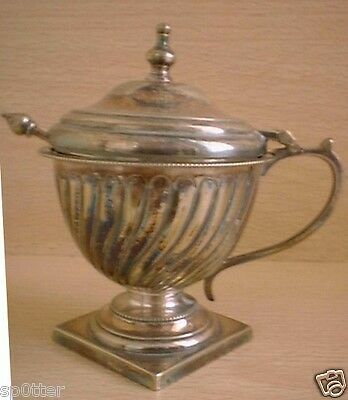 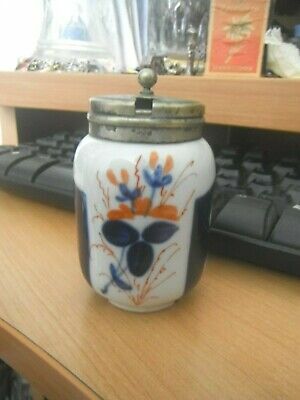 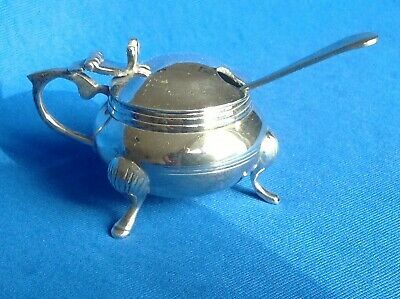 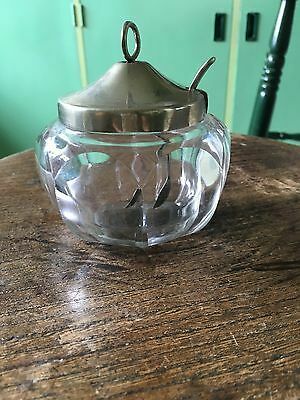 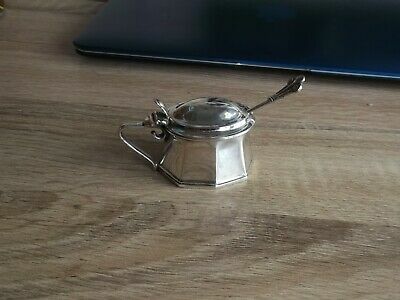 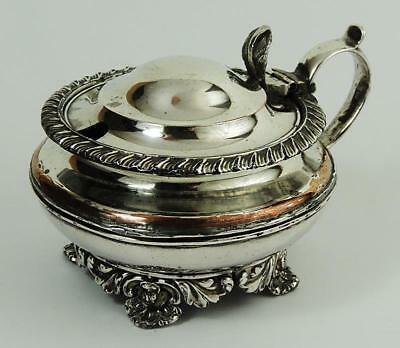 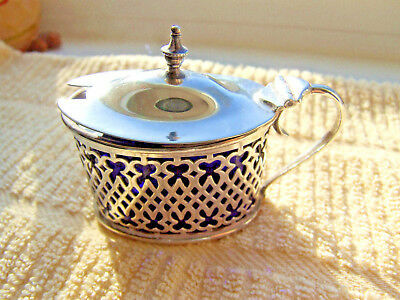 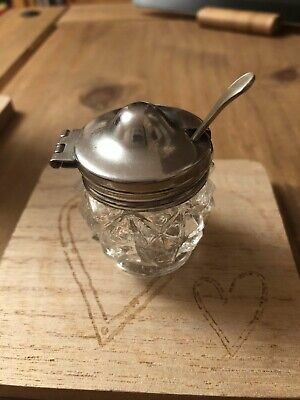 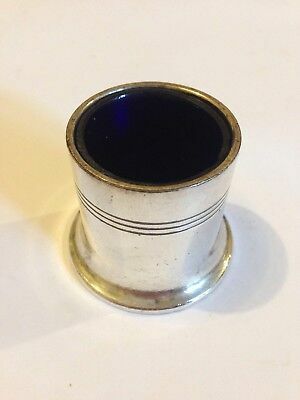 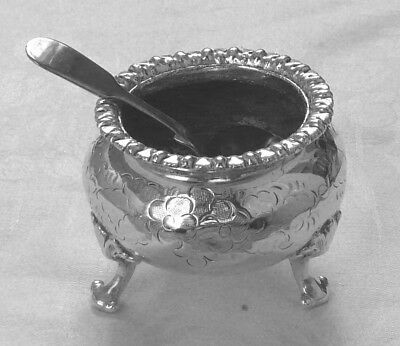 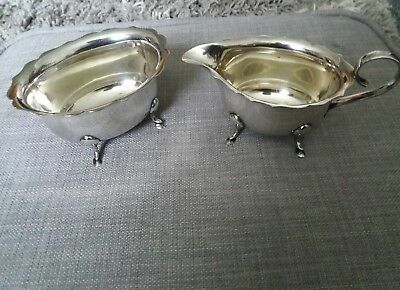 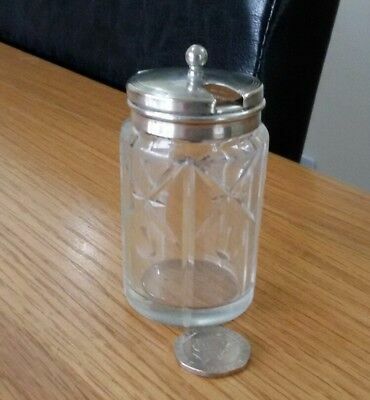 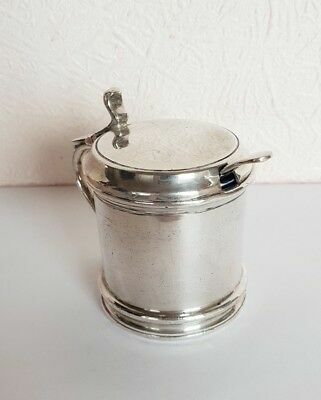 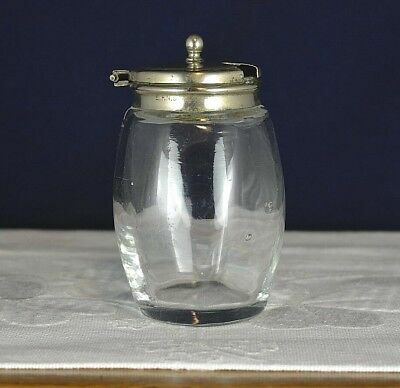 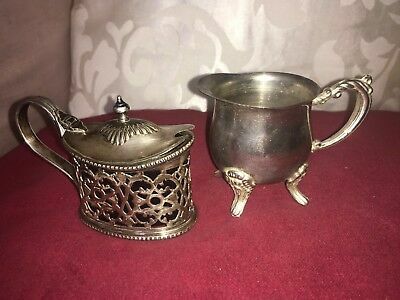 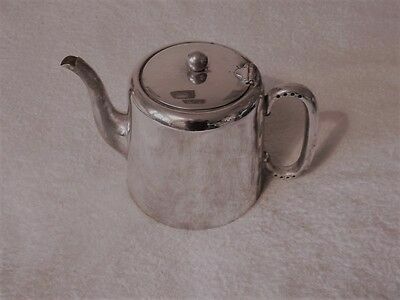 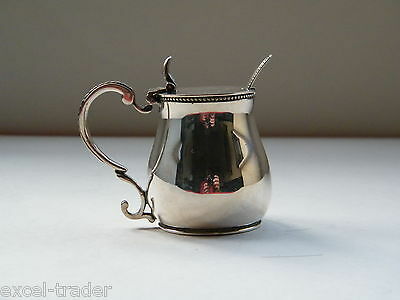 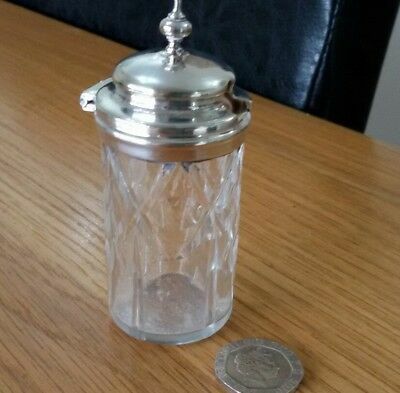 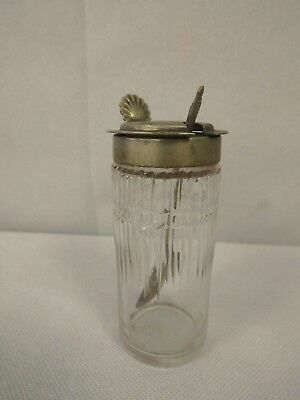 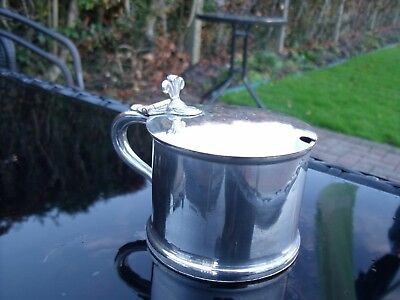 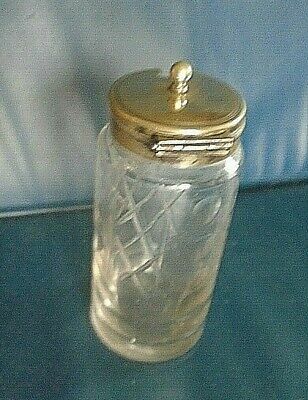 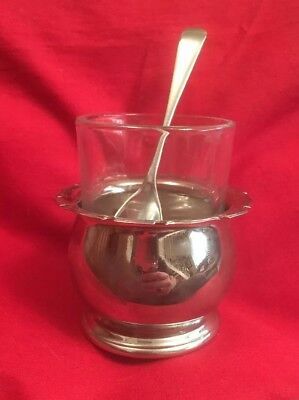 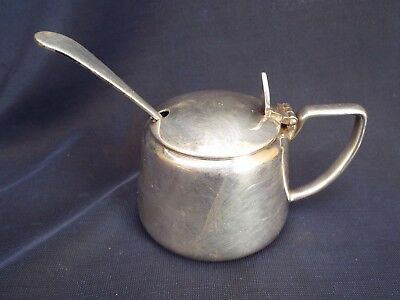 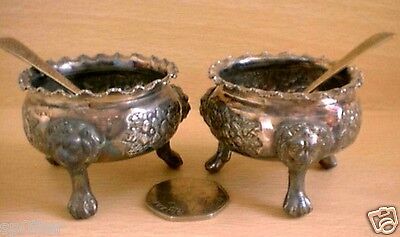 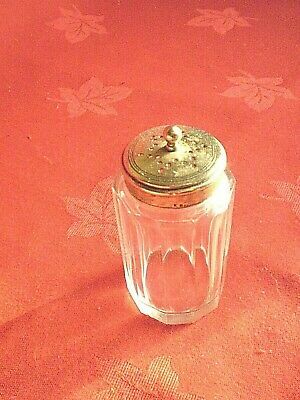 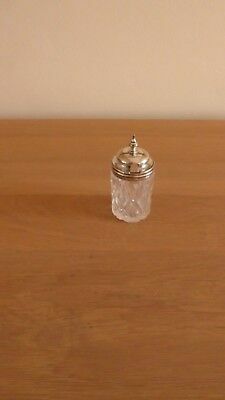 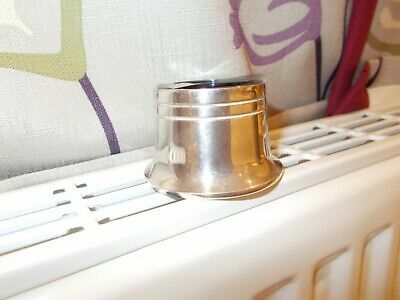 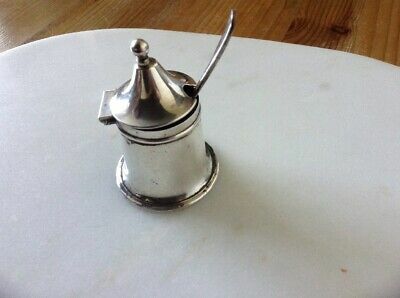 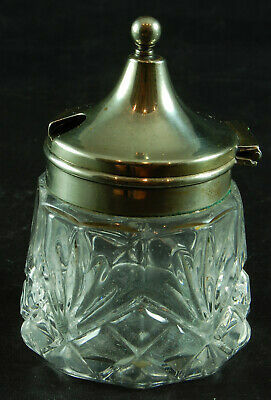 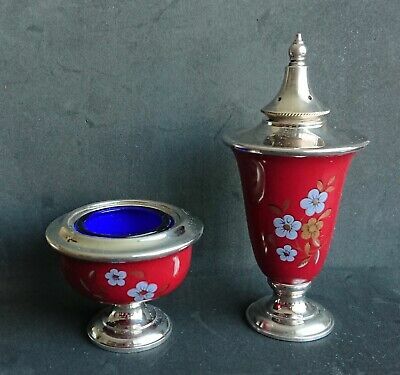 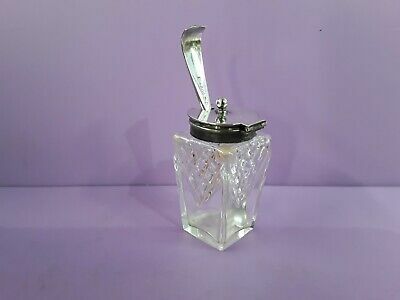 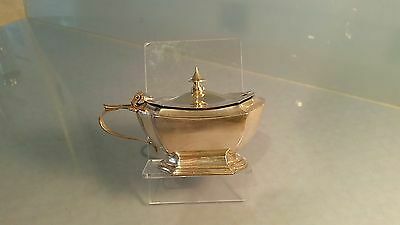 Vintage Ianthe Silver Plated Mustard Pot. 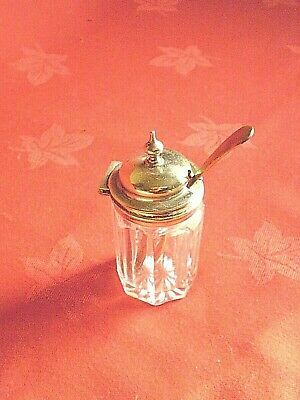 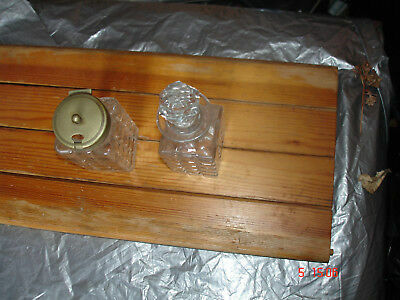 Mustard - Condiments Pot with glass liner. 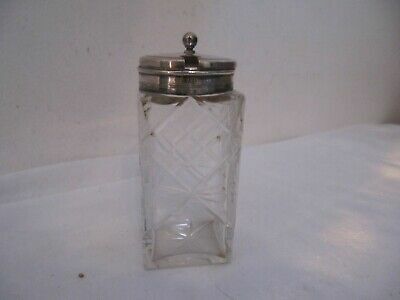 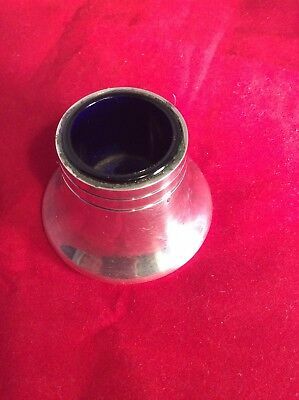 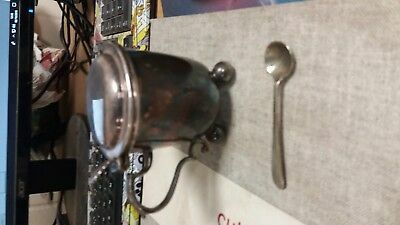 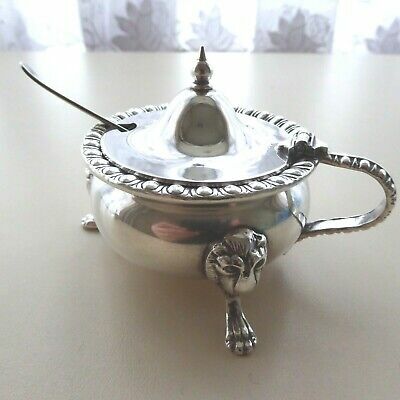 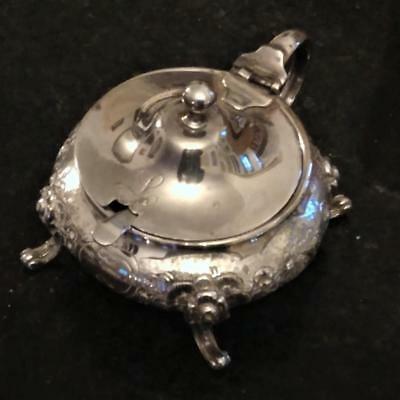 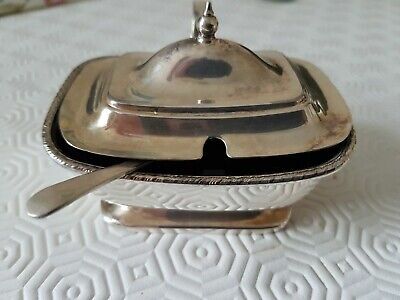 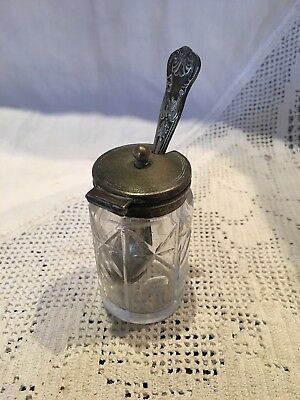 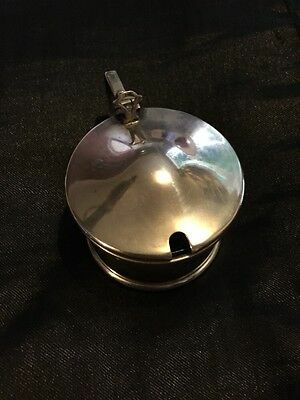 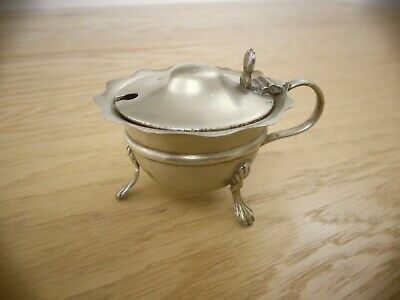 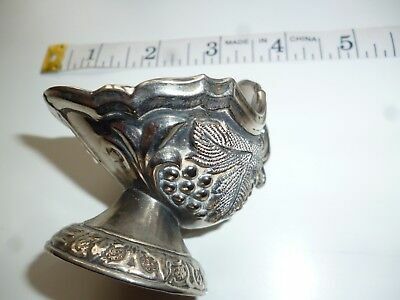 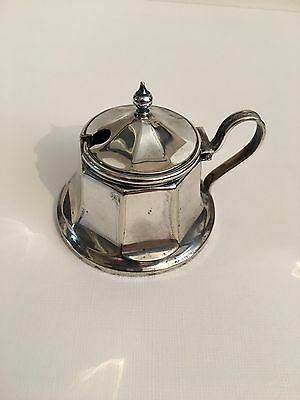 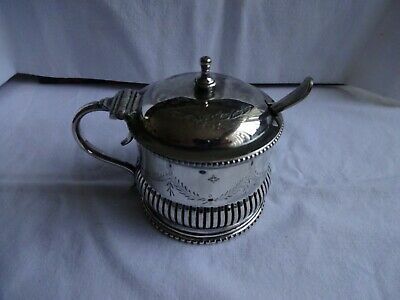 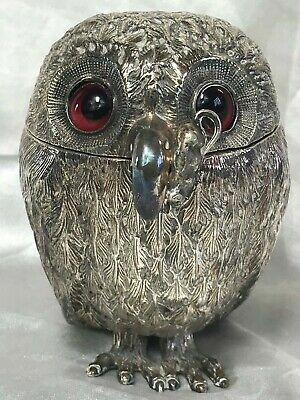 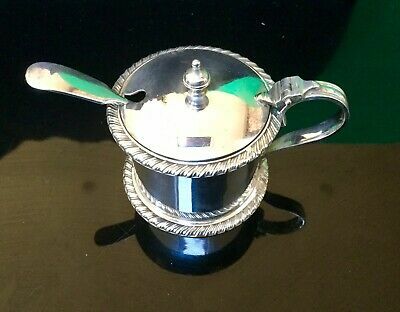 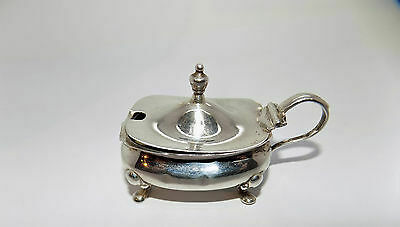 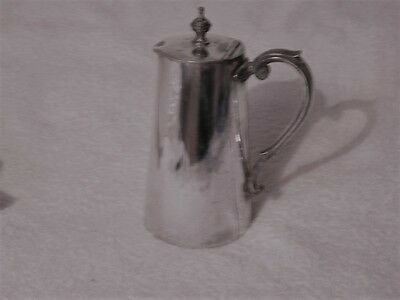 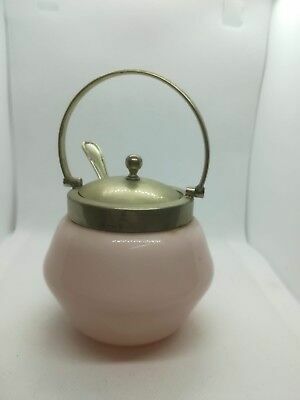 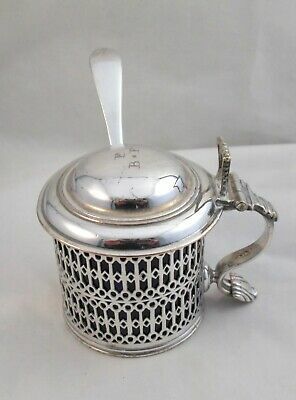 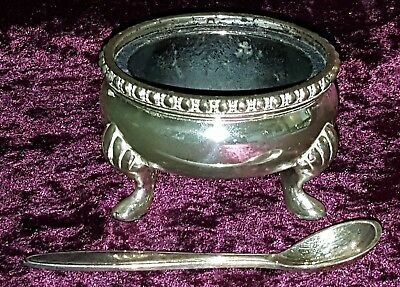 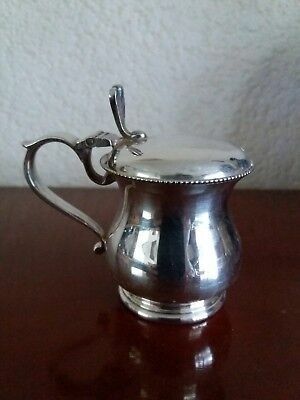 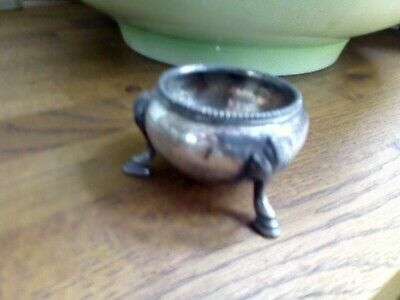 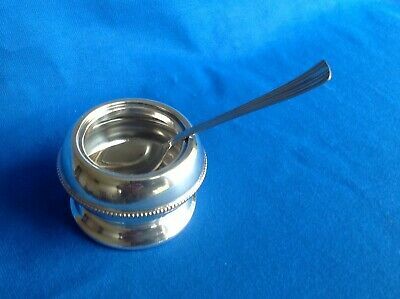 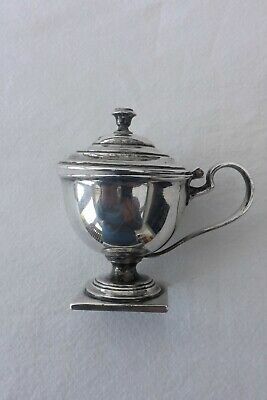 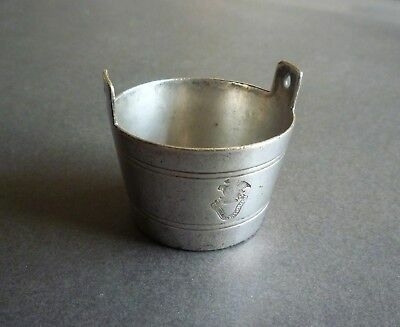 Vintage/antique Silver Plate Lidded Mustard Pot. 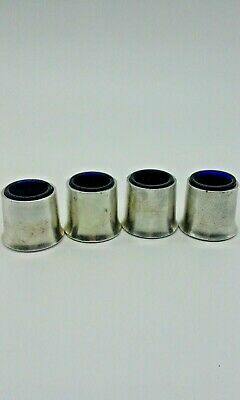 Stamped Made In England Epns.